Flowers white. Spreading tree to about 6 m tall. 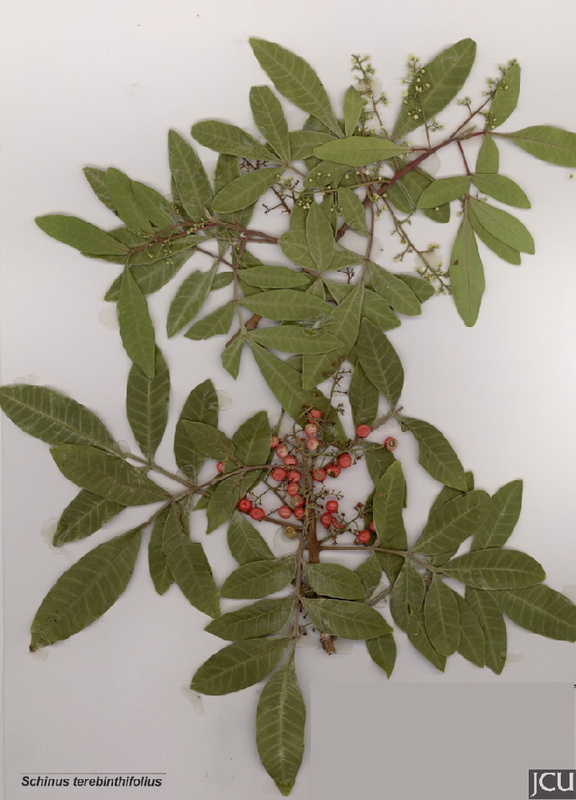 Leaves alternate, firm, with 7-9 leaflets, rachis slightly winged. Flowers in panicles, corolla white. Berries red. Bird dispersed. Resin may result in dermatitis etc. 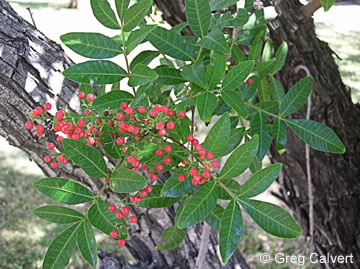 Pink peppercorns of commerce.